Full hook up at all sites. Site 18 is 50 amp and all others are 30 amp. All sites have a fire ring, grill and picnic table. Centrally located behind the office and near the restrooms. Each site has a fire ring and a picnic table. These sites are all 30 amp. 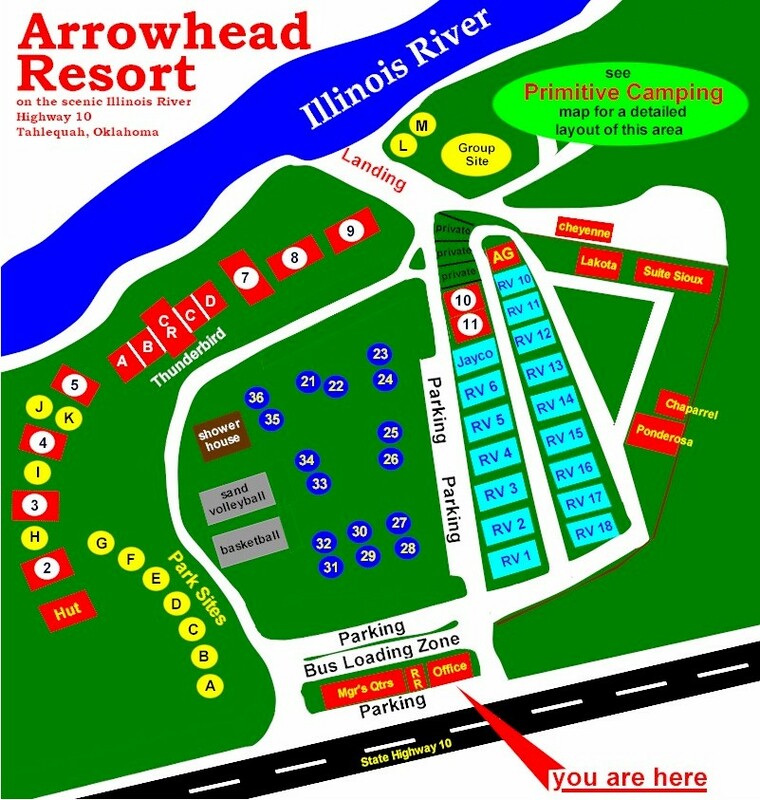 Campsites 15-39 are primitive camping near the river with porto-potties available. 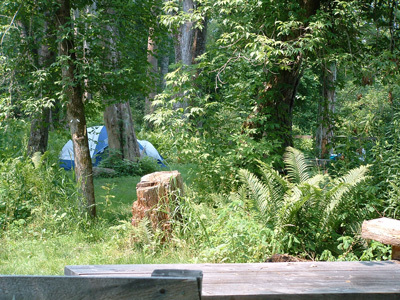 Main Camping A-K is primitive camping, but is located up near the office and the restrooms. All have picnic tables. Enjoy some outside activities like volleyball, horseshoes, football and frisbee!